Whether you have played a course 20+ times a year or looking to play the course for the first time, insights from an insider can help enhance your golf experience. 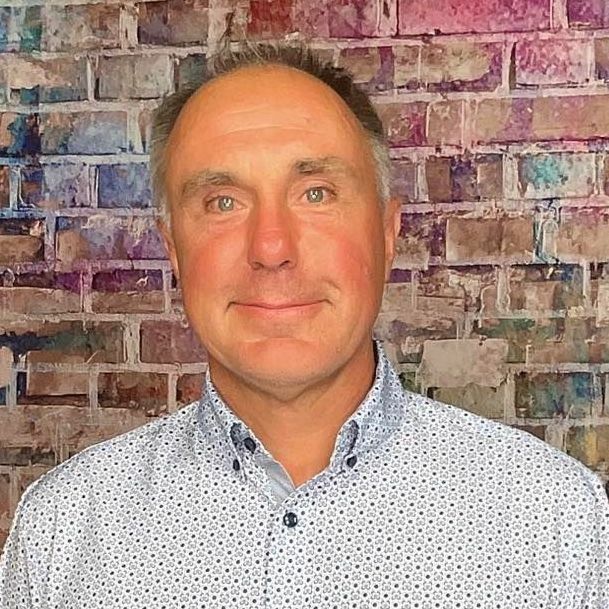 Below is an interview with Geoff Redgrave who shares some valuable tidbits about the course, memorable holes and must eats and treats at the 19th. 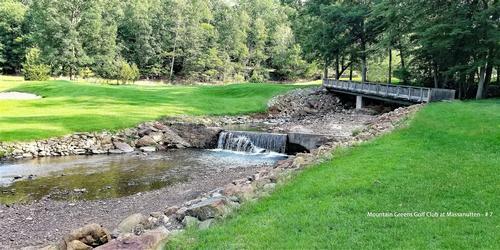 Meandering through the fertile floor of the historic Rockfish Valley, the Stoney Creek golf complex originally was only 18 holes, consisting of what now are the Monocan and Shamokin nines. 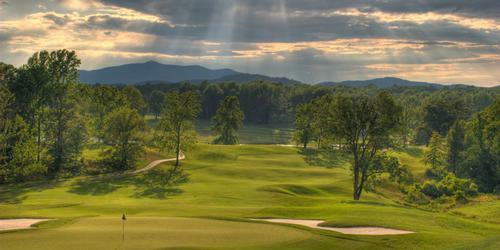 Golf Digest selected it as runner-up for "Best New Resort Courses" in 1989. A decade later, Tuckahoe was the final nine blended into the design, upon which Rees Jones remarked, "I think what Stoney Creek is to me, is one of the great settings in mountain golf." Playing golf at Stoney Creek combines a natural setting with three challenging nines designed by Rees Jones. The Monocan and Shamokin rotation, the original eighteen, provides the golfer with two distinct nines. The Monocan side allows for the golfer to 'air it out' off the tee. Undulating greens and local knowedge about Crawford's Knob will go a long way into making putts on the outward nine. The Shamokin side forces the golfer to shape the tee ball off the tee. Doglegs are protected and the golfer must navigate around this nine "placing" the ball through the tree lined inward half. The Tuckahoe nine, built in 1998, grabs the golfer with its Cavalier Zoysia fairways and green surrounds. 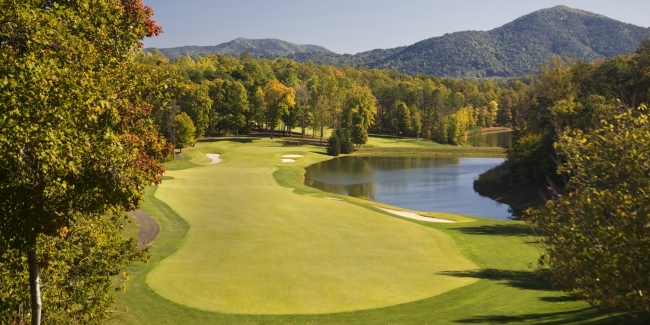 This scenic nine works up and down and around as the golfer maneuvers around this nine and finishes with a lengthy three shot par 5 with the mountains as a scenic back drop. The Monocan nine greens are really influenced by Crawford's Knob. Most putts will move away from the mountain. Many greens are also double tiered that requires the golfer to accurately get their golf ball either on the correct side or the correct tier. Misplaced approach shots will require a deft putting touch. The course has received numerous awards and we are most proud about how much competitive players enjoy competing on the course. 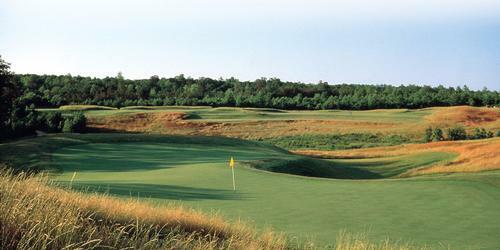 Stoney Creek signature hole - Tuckahoe 1 - a scenic beauty of a par 4 at 429 yards gets the golfer's attention quickly. An elevated tee box some 50 feet above the fairway shows off the entire hole and its mountainous surroundings. A demanding hole (especially if this is the start of your round) with water down the entire right side of the hole and a hill side protecting the left side, forces the player to accurately place his/her tee shot down the left hand side of the fairway. A mid iron second shot to a green that has slope in the middle requires pin point accuracy if par or birdie is what the golfer is seeking. Shamokin 6 is a par 4 of only 410 yards from the back tee but really gets the players attention. Off the tee will require a precisely placed tee shot flanked by trees and classic Rees Jones mounding on both sides of the landing area. Better players will play a three wood off the tee , leaving about 150 yards for the approach shot over the winding creek comes more into play the more you miss the shot left. The green is long but still requires a good approach to set up a birdie. Par is a good score here. The Stoney Creek Bar & Grill is on the top floor of the clubhouse, offering both indoor and distinctive alfresco dining with panoramic views of the Rockfish Valley and the golf course. The restaurant's casual menu and "neighborhood" atmosphere are available year round. Lunch is served daily and dinner nightly. Brunch is served on Sunday. For reservations, call (434) 325-8110. The signature Californina Club sandwich is a favorite "eat" after the round! 64 by Canadian Tour player Alan McLean for the men and Isabelle Lendl for the women who shot 67 In the Women's Eastern Amateur.